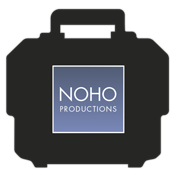 We believe our inventory of equipment is one of our facility’s strongest assets and clearly distinguishes Noho Productions from other rental studio facilities. You’ll find the equipment wall in each studio a time saver, eliminating many trips to the equipment room. However, when you are faced with a challenging situation, you’ll find our equipment room loaded with the equipment you’ll need to get the job done. You’ll find our camera inventory (large format to 35mm) thorough with a large selection of lenses. Our digital equipment is state-of-the-art, including the latest digital backs and computer equipment. (As new digital backs are released on to the marketplace, we are among the first to stock them.) And you’ll find our assortment of lighting equipment and accessories very thorough with a special emphasis on the needs of a still life set. Please remember that all studio options (A, B, and C) are flat rates which include access to our entire equipment room at no additional charge. Shooting on location? Take Noho with you.